You’ve probably come across Neoprene before without even realising. But what is Neoprene? Neoprene was the first ever successful synthetic rubber created, dating back to 1930. It can be found on tires, wetsuits, hoses, and as well as being a particularly useful material its now also made its way onto high end runways. This padded, thick fabric has recently become a favourite amongst designers, providing a structured look with added warmth. What is Neoprene made from, and how is it made? The technical name for this foamed synthetic rubber is polychloroprene, which is mostly composed of carbon and hydrogen atoms. Neoprene is made through a chemical reaction which uses chloroprene, and as a result polychloroprene chips are left behind. The chips are then melted and mixed with various carbon pigments and foaming agents, which is then put in an oven and baked till it expands. The resulting neoprene is sliced up to create neoprene sheets in your desired thickness. You’ll typically find Neoprene sheets sandwiched between two pieces of other fabrics, usually polyester or nylon. Sometimes elastic fabrics are mixed in to increase the flexibility of Neoprene, which is particularly useful when it’s worn as a garment. Neoprene fabrics can vary in thickness depending on it’s use. 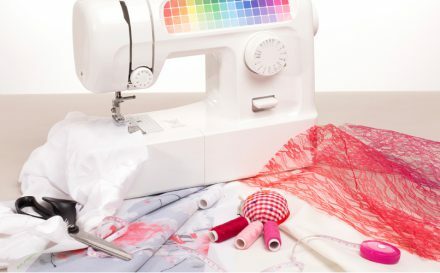 1-2mm is usually the maximum for a domestic sewing machine, with fabric 4mm and above only used with industrial machines. Neoprene is one of the most multi-purpose manmade fabrics available. 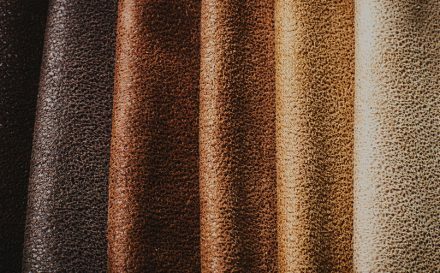 This synthetic boasts a huge range of super desirable properties, leading it to be used for everything from medical and space equipment to Avant Garde fashion. The flexible, stretchy and water-resistant qualities of Neoprene make it useful in the medical field, particularly for patient care. 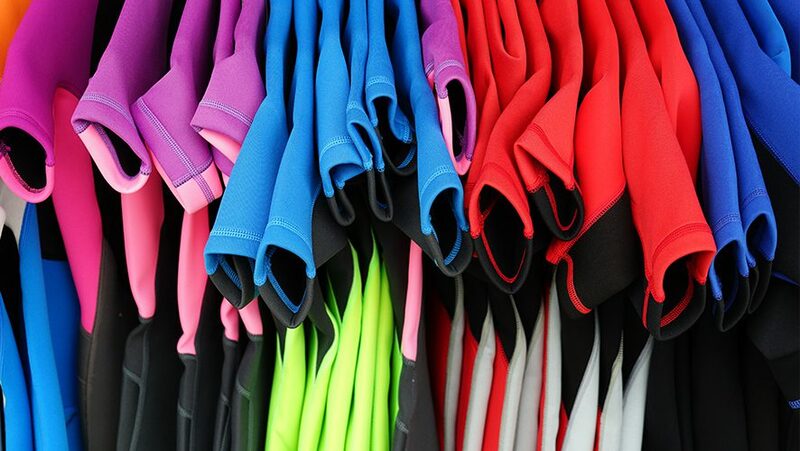 These same qualities also make it the perfect material for wetsuits. 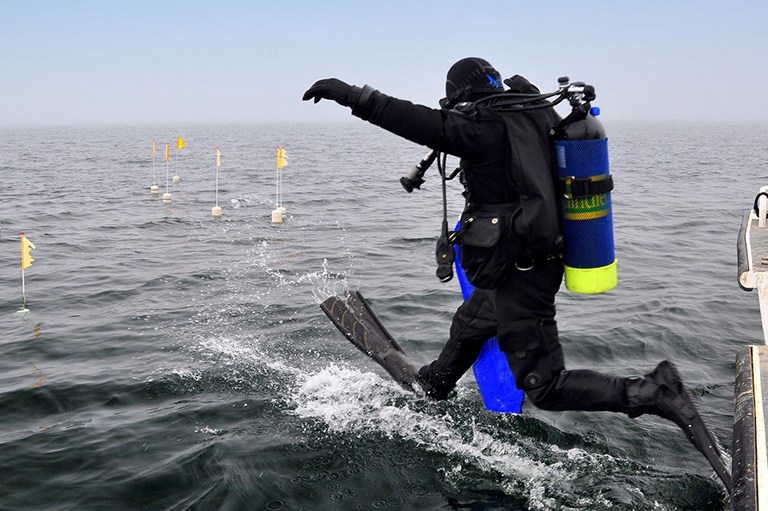 The thicker the neoprene, the greater the insulation, meaning that deep sea diving suits are generally made from 6-7 mm thick neoprene where the pressure on the rubber is higher. Alongside this, neoprene is resistant to greases, oils, solvents and heats, meaning it is ideal for seals, hoses, gaskets and much more. This was particularly useful during World War II. In fact, the public didn’t even get a scrap of Neoprene during the war as the military claimed it all for their gear. As well as helping you dive deep down under the sea (cue Little Mermaid theme tune), neoprene has fantastic ozone and weather resistant properties. Because of these durable qualities, the rubber can also be used for applications like landfill linings and corrosion-resistant coatings. In recent years, Neoprene has found its place in the world of fashion because of it’s form-fitting nature. Back in 2014, it was even proclaimed by fashion magazine “Elle” as the “material of the Summer”. As well as being used for dresses, trousers, skirts and tops, the scratch-resistant and weather-resistant qualities of Neoprene mean it’s perfect for outerwear in chillier seasons. Linings can also be added to shoes and laptop and ipad cases for extra cushiony comfort and safety. In the 1920’s, the demand for natural rubber increased and caused a surge in prices, which began a search for a synthetic which had similar properties. The discovery was made by a Scientist in DuPont’s research group. Throughout the 1930’s the manufacturing process was improved to eliminate a bad odour that accompanied the material, and by the end of the era, it was being used in commercial products such as gloves and shoes, as well as industrial products like car engines and telephone wire. After World War II, the company bought a neoprene plant to keep up with increased demand, and worked extensively to meet the public’s needs. In 1950 the modern wet-suit was perfected with the idea that a thin layer of trapped water between the wet-suit and skin could actually help insulate the wearer. The air in the fabric meant water could reach body temperature quickly and act as a thermal insulation. Neoprene was the perfect material for this as it’s not fully water resistant, and was perfect in letting just a small amount of water into the suit. Throughout the 60’s and 70’s various types of neoprene were developed, such as titanium-lined neoprene to make wet-suits warmer and thinner, and limestone neoprene which used limestone instead of oil to create the neoprene – making it much more eco-friendly. If you know of neoprene, you may know of its fabric doppelganger – scuba. 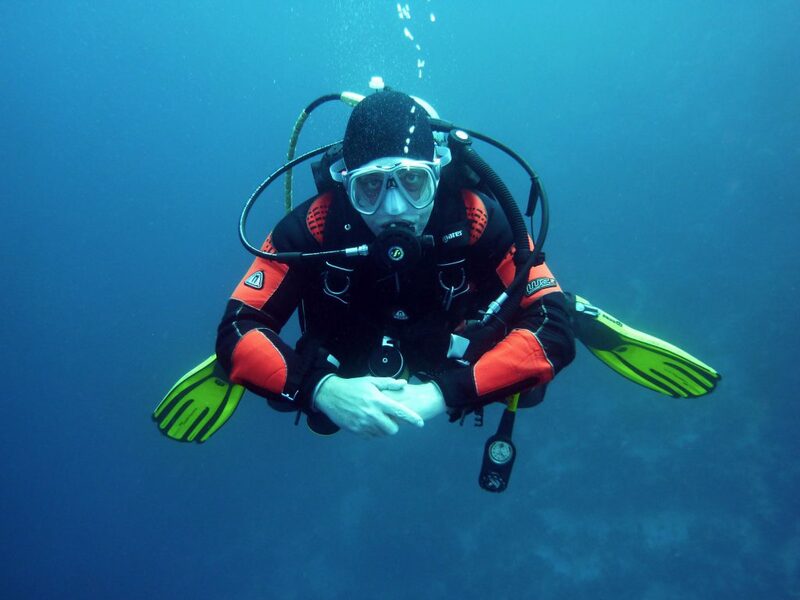 The two often get confused, but instead of being a rubber, scuba is a double knit made from fine filaments of polyester, lycra, spandex or rayon. The two materials both have the same smooth and springy feel with stretch qualities and various weights, yet scuba lacks the insulation that Neoprene offers. Confusingly, most scuba diving suits are made from Neoprene despite their name! 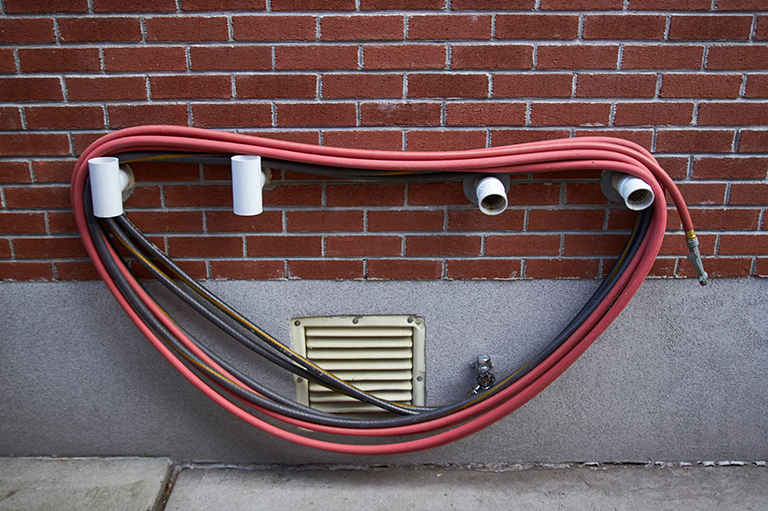 Although Neoprene is synthetic, both neoprene and natural rubber are polymers. Neoprene was made with the idea of creating a similar substance to rubber, but it actually has superior qualities. While both are resistant to abrasion and heat to an extent, neoprene is also resistant to grease, oil, has superior resistance to heat and performs well in extreme temperatures and extreme environments. The upside to natural rubber is that it is eco-friendly, being harvested from trees and then processed into rubber sheets. Neoprene can be pretty tricky to sew with because of its thickness and stretchy nature. 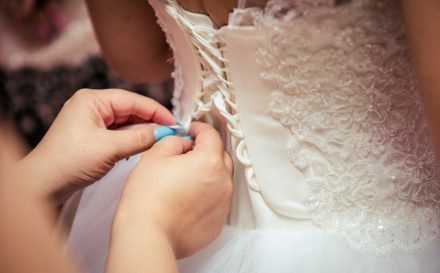 It’s recommended to use a heavy duty needle to sufficiently pierce through the thick rubber and to sew slowly to feed the fabric through. It may also help using a knit foot to help ease the fabric through the machine more swiftly. Try opting for a long stitch length and less tension to keep things running smoothly and create your own beautiful neoprene designs! So, now that you’ve got an answer to the question ‘What is Neoprene?’, have a go designing your own Neoprene fabric. Explore neoprene and over 100 other fabrics in your own swatch pack.